I’ve started with the milling for the new LoudSnail speaker. This is my first CNC project. As expected not everything worked as planned. But in general, the idea seems to work. 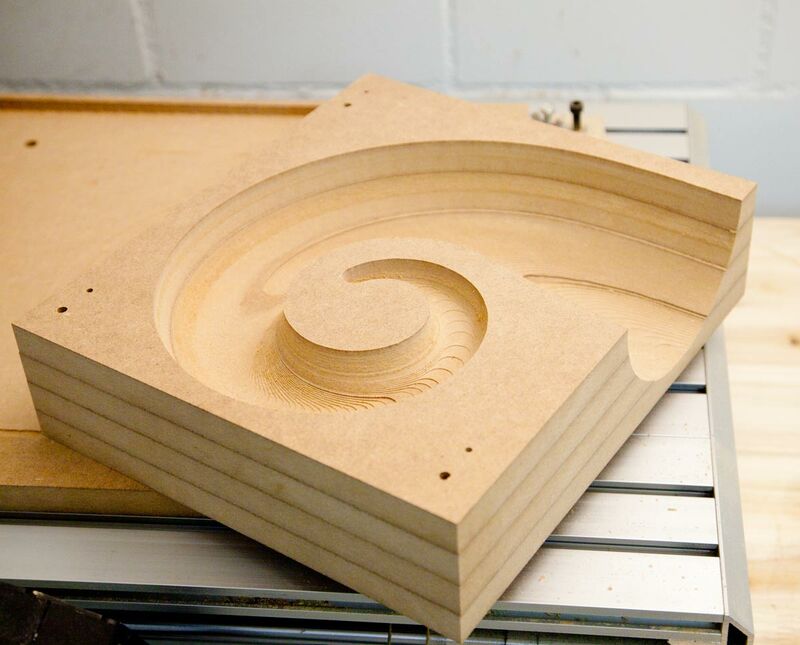 Milling MDF is an easy job for the CNC machine. But using a 3mm endmill and 0.2mm resolution takes time. Milling the large piece took over one hour. Next time I will try to increase the feed rate to 4800mm/min. This should speed up things a bit. This entry was posted in Uncategorized and tagged cnc, diy, loudsnail, loudspeaker, speaker on June 27, 2013 by Daniel.